CTC has more experience developing broadband public–private partnership (P3) models than any firm of any size. We pioneered the public fiber/private operations model in Westminster, MD; advised Huntsville, AL, on broadband planning and wrote the RFI that attracted Google to a partnership there; and have advised the cities of Boulder, Madison, Palo Alto, Santa Ana, and Santa Cruz on similar approaches. While P3s may exist in other infrastructure areas (such as water and transportation) and many firms can claim experience with them, we are the only consultancy in the country that has been part of a full, executed broadband P3. Further, our thought leadership efforts, including our series of webinars for the Fiber Broadband Association have introduced broadband P3s to the ISP industry. CTC President Joanne Hovis recently co-authored “The Emerging World of Broadband Public–Private Partnerships: A Business Strategy and Legal Guide” (published by the Benton Foundation). Our P3 project approach begins with the development of a deeply rigorous analysis and set of models, based not only in unparalleled knowledge of how to protect our clients’ interests in P3 structuring, but also in the specialized broadband knowledge that is critical for their project success. To this end, we build into every component of our analysis and process an understanding of the unique elements of broadband: (1) a competitive market; (2) evolving private sector investment; and (3) digital inclusion and equity elements. CTC is engaged with the City-Parish on the development of a multifaceted strategic fiber plan. Our project includes three primary elements. First, we are assessing the feasibility of a broadband public–private partnership. Second, we are developing an E-rate analysis and strategy to enable fiber deployment to every library and K-12 school. Third, we are developing a “dig once” policy assessment and recommendations. Our work includes conducting statistically valid market research, preparing an RFI to identify potential private sector partners, and developing an engineering analysis and cost estimate for network deployment. CTC conducted broadband feasibility planning for the City of Huntsville and identified a range of options for models and approaches. We wrote the RFI through which the City launched its efforts to identify a private partner for citywide FTTP deployment. That process ultimately led to the City’s negotiations and agreement with Google Fiber—a partnership that follows the Westminster model. Huntsville Utilities will leverage its poles and infrastructure to construct its own FTTP citywide network with Google Fiber acting as anchor tenant on the network. CTC kicked off a major broadband strategic planning project with the City in February 2017. We are providing strategic, financial, and technical advisory services as part of a broad effort to analyze the City’s broadband options. Our engagement includes designing a citywide fiber-to-the-premises (FTTP) network; developing cost estimates and financial models; and evaluating and recommending ownership and governance models (i.e., public, private, or public–private). In October 2017, the City released our study, “Fiber for San Francisco,” and is initiating an innovative procurement to select a private partner to finance, design, build, and operate a fiber network that would reach every home and business in San Francisco. 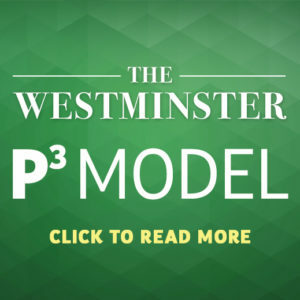 The Westminster model that CTC pioneered is the most influential broadband P3 in establishing the model of city-owned fiber and private use of that fiber. This model was the first of its kind. The construction of the City’s FTTP network and its groundbreaking partnership are the culmination of a multi-year engagement with CTC. We first prepared an FTTP feasibility study, cost estimate, and business case for the City in 2012 and 2013. Our report, which focused on maximizing available backbone network connectivity, included a technical design and cost estimates for two last-mile FTTP pilot projects (one focused on residential customers, one focused on businesses). As that focused construction began, CTC continued to work closely with the City to establish its principles and risk tolerance, then designed a potential P3 model that would achieve a balance between those guiding forces. We established the City’s preferred role in each aspect of network construction and operations, developed criteria for evaluating potential partnerships, and developed a financial analysis tool to model a range of assumptions. Based on these parameters, we then wrote an RFP to identify a private partner that would assume operating risk in providing services to the public over the City’s FTTP infrastructure. The RFP led to successful negotiations led by CTC President Joanne Hovis, and the announcement of a first-of-its-kind partnership with Ting Internet. CTC continues to support the 80-mile FTTP deployment over a range of tasks spanning fiber infrastructure engineering, network design, construction bidding, construction oversight, and quality assurance inspection.